Rachel Goldman writes mysteries in which Duffy Madison, consultant to the county prosecutor's office, helps find missing persons. Rachel is busy working on her next book when a man calls out of the blue asking for help in a missing person case. The caller's name? Duffy Madison. Is this real, or has she lost her mind? She doesn't have much time to find out, because a serial killer is on the loose, kidnapping and murdering mystery authors. And Rachel may just be the next target. 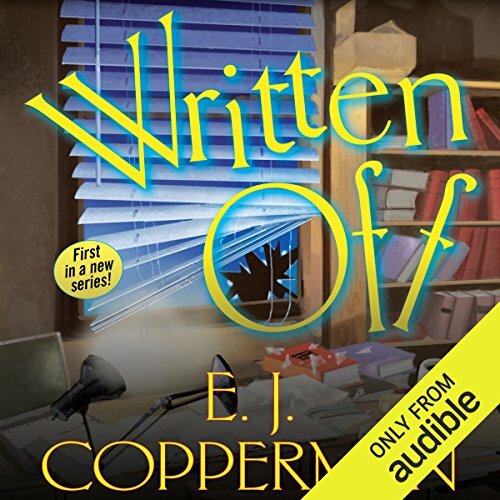 Full of uncanny intrigue and witty humor, E. J. Copperman's imaginative series debut, Written Off, is sure to be a new fan favorite for listeners of Donna Andrews. 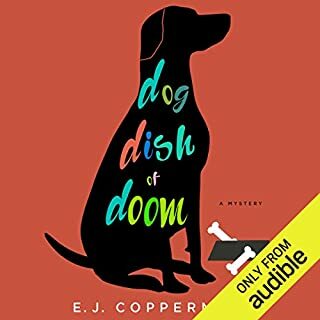 ©2016 E. J. Copperman (P)2016 Audible, Inc.
Before I get to the main problem, I'll get out of the way that the narration was convincing, and the main character, Rachel, well enough presented that I was interested in following her through the story. Her "creation" Duffy Madison, on the other hand, was about as boring as it could get. 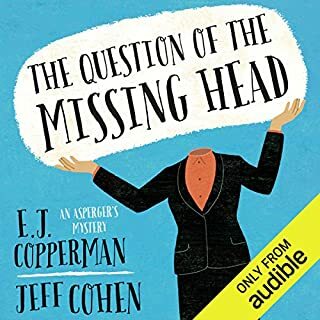 Copperman has a series featuring an Asperger's protagonist, so having a similar one here is just too much. The other secondary characters were okay, but not especially impressive. I wasn't all that drawn into the plot regarding a serial killer targeting mystery writers, but am willing to give a first book a bit of a pass as the focus is on setting up a series. However ... the Big Reveal as to the killer left me shouting "NOOOOOOOOO!" 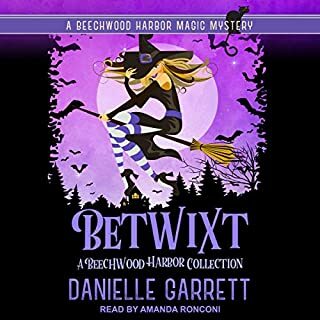 Since Audible doesn't have a feature to hide spoilers, the most I can say is that Duffy and the Bergen County authorities are Too Stupid to Live (to borrow a phrase used repeatedly by Rachel). Most charitable thing I can say is that having a character come to life unexpectedly was a idea with possibililities, but poorly executed here. I'll stick with Samuel Hoenig instead. The main character is totally unrealistic. Her life is in danger.... so she goes to bed. Magical duct tape shows up after the author drills into your head over and over that there "was nothing in the room"
Waste of 9 hours.... i kept waiting for it to get better.... it didnt. Little plot or character development. Lots of inane dialogue. The idea of a fictional character becoming real is interesting but most of the text is inane chatter. 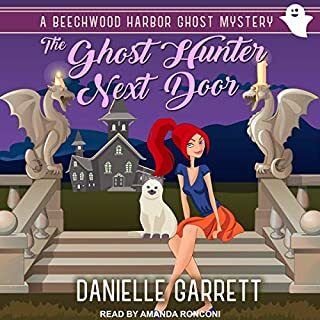 I love Copperman's Haunted guesthouse series. They're funny, nothing too terrible happens the endings are always happy. They are fun entertainment between heavier and darker reads. So, I had the same expectations for this book. My expectations were not met. I didn't like the book's heroine, mystery writer Rachel Goldman. For someone who apparently is a able to make a living writing mystery books, she seems to have very little understanding of how investigations work, or any curiosity about how they work. When confronted with the news that someone is killing off mystery writers, she just wants to go home and work on her current book. It isn't until she becomes a target herself, that she begins to show some interest. Not, "Oh, my God, someone is trying to kill me" interest, instead "I just want to go home - alone" and pretend it's not happening kind of interest. At a minimum you would think that maybe she would think there might be book in it for her. Cozies aren't meant to be taken all that seriously, I get that. But, they should at least be entertaining and this book wasn't. That said, I'm still looking forward to the next book in the Haunted Guesthouse series. As for Amanda Ronconi's narration, it's always great, even when the story isn't. Would you listen to Written Off again? Why? People in the next car thought I was nuts. I AM listening to Written Off again. It still makes me laugh..........the reader is perfect for this book! Hope there is a follow up soon! Well written E.J. Cooperman and well performed Amanda Ronconi. But I expect no less from the two of you. I can't wait to purchase the next book to this series. Has promise as a series. I liked the overall storyline and the concept of the 2 main characters. however, the author needs to tighten up the actual crime features; the weren't always believable. the story was told in first person- Racheal-who spent a lot of time repeating that Duffy, the other main character, was created out of her imagination. more character development would have been better rather than hearing Rachel's internal thoughts. the narrators voice had a hint of whineyness that became grating towards the end. I do look forward to the next installment. I enjoyed this book as much as I enjoy his Haunted Guesthouse series. The characters are engaging and well developed. The plot was realistic and fast paced. I can't wait for the next book. This would have been a solid four star book except for the reveal chapter. In a room with at least two decent, easily improvised weapons, failing to use them truly is "TSTL." A standing lamp with the base and head removed can be a decent stabbing weapon for at least one thrust. In the alternative, the sections could be uncoupled and used as improvised hanbo (fighting sticks). Using a trunk as a weapon by lying on your back and kicking it with both legs at a person climbing a ladder-stair is an obvious choice. If you hit them half-emerged you should be able to knock them down the ladder. Follow up with rudimentary hanbo technique and you have a decent shot at keeping them down. I generally like E.J. Copperman's books, and generally liked this book. However, I cannot believe that anyone would bypass two obvious weapons in favor of swinging a full lamp at someone. (It would have even made more sense to use a full lamp as a ram.) It was incredible and inconsistent with an otherwise intelligent character. It changed her into a "TSTL" character. I still plan to buy the next book in the series, but the protagonist's willful stupidity when the chips were down lowered the book from four stars to three stars. Would you try another book from E. J. Copperman and/or Amanda Ronconi? As this is the first book in a series I try to keep an open mind, like I do with a TV show pilot. I like to remember the characters are being developed and will settle down, eventually. For me they are not there yet. I stopped listening just under half way through. I just did not like the lead. At this time she seems like a Stephanie Plum knock-off (this one a writer instead of a bounty hunter) without the fun supporting cast. I will keep an eye on this series and may come back once I have a chance to see how the characters develop. It would not be the first time I did not love the opener, but really ended up on board with a series once I had more to sink my teeth into. Lovely narration - no complaints or concerns. None stood out for me. If you could play editor, what scene or scenes would you have cut from Written Off? For the half I listened to I would have advised to bounce up the action and let the tedium fans love once the like the characters come later. With Audible's AMAZING return policy I really do encourage folks to take a shot at new books, series and authors to make up their own minds, take my tepid response as just one pebble in the quarry. It's been waiting for me for a while and I just thought, "let's see what it's all about," I'm so glad I did. This is a fun story where a crime writer's mail character gets in touch one day and turns out to be real. Murders happen (I'm not spoiling stuff here) and they work together to find out what happened while she's also trying to work out who he is. This was a completely different cosy mystery to the ones I am used to. 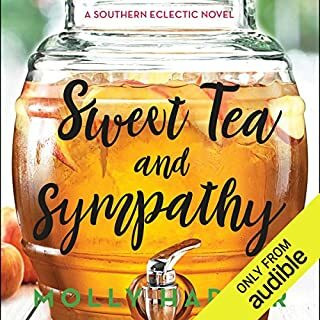 I found the premise very interesting and I spent most of the book trying to figure out what was going on with Duffy Madison. There is some humour in the story which I liked a lot and the mystery was very good although identity of the killer and the motive was a bit flimsy. 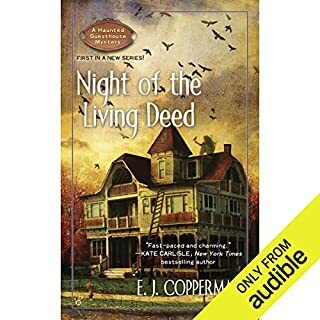 I enjoyed listening to this book and I will probably listen to the next book in the series. I enjoyed this one for a few reasons. One was the performance. I've listened to a few books read by this actor and she's one of my favourites. Then, I liked the bits of humour. I liked the concept. Finally, I liked the insight into the way novelists work, and how would-he-really works in plotting. I knew that already (I'm a writer too) but it was fun to read about it and to be nodding along.